In recent years, more than ever before, governments and supranational organizations have resorted to international sanctions as a tool of foreign policy and international economic governance. For instance, the United States’ recent decision to withdraw from the Iranian nuclear deal. As a result of the latter, companies review existing agreements with Iranian counterparties, or that involve Iran-related activities, and assess what steps may be required to terminate the agreements. But exiting agreements can mean facing risks of litigation for breach of contract. Due to its international activity and exposure, ICC Dispute Resolution Services is bound to operate in conformity with applicable sanctions regulations, such as those imposed by the United Nations (UN), European Union (EU) and Office of Foreign Assets Control (OFAC). 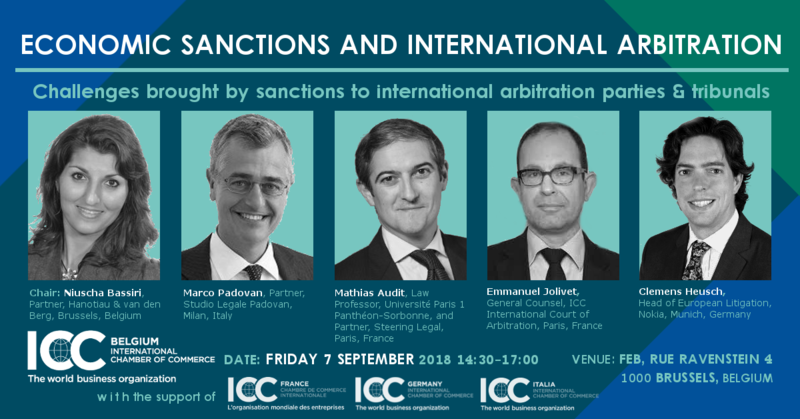 This sanctions regime is equally applicable to all dispute resolution institutions notably in the EU, Switzerland and the United States (US). Even if parties are subject to the applicable sanctions regulations, they are not prevented from filing a request under ICC dispute resolution rules. But what about practicalities?